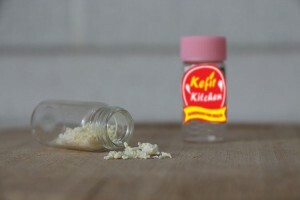 Kefir cheese has a simple preparation process requiring no expertise or special cheese knowledge. The simple taste of kefir cheese makes it a perfect breakfast spread, soft cheese base for creative recipes with herbs, nuts, and fruit, or an ingredient in sweet or savory dishes. 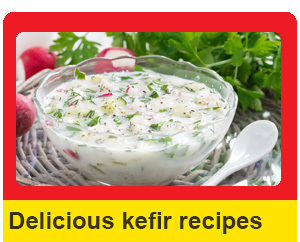 Kefir cheese is a healthy alternative to cream cheese as it retains many of the health benefits of kefir milk. Also, because it is produced at home, it is unprocessed and 100 percent real. 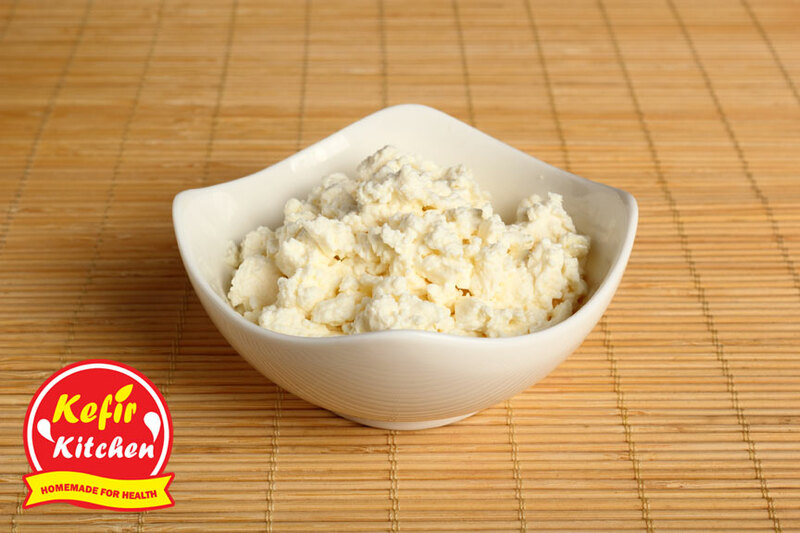 Like cottage cheese, kefir cheese is a quark dairy product. This means that the fermented dairy product is gently heated and then strained. Be sure to use 48 hour kefir milk for this recipe. The kefir milk is thicker, and thus better suited to make kefir cheese. Pre-heat the oven to 200 F. Pour the kefir milk into the casserole dish and place in the oven. Wait for approximately one hour. By the end of the hour the kefir milk should have separated into a watery liquid on the bottom and the curds at the top. Take the casserole dish from the oven and let cool for about 10 minutes. Place the strainer over the bowl or pot and the cheesecloth over this. Then, pour the separated kefir milk into the cloth covered strainer. 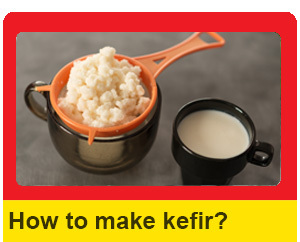 Be very careful as the kefir milk will still be very hot. Let the liquid drain from the cheese solids over night. 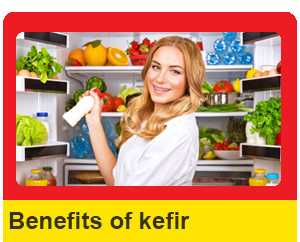 Be sure to cover the kefir cheese so that bugs cannot get to it. Most of the liquid will have drained during the night. Just to be sure, lift the edges of the cheese cloth and twist toward the cheese at the bottom. This will squeeze our anything remaining. Serve at breakfast that morning, or put directly into a sealed container in the fridge for later use.